My assistant, Lynn Terry, came in this morning and told me her 85-year-old mother was abandoning her family tried-and-true pecan pie recipe for the one that is on the cover of the new issue of Taste of the South. Since we are beginning to see the leaves change here, our minds are turning to pecan, apple, and pumpkin pies. I wanted to share this recipe with you. 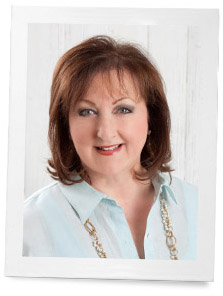 Seeing how most Southern women would never publicly admit they were giving up their recipe in favor of a new one, I knew this was one to share. Pick up a copy of this issue and check out all the fall recipes. 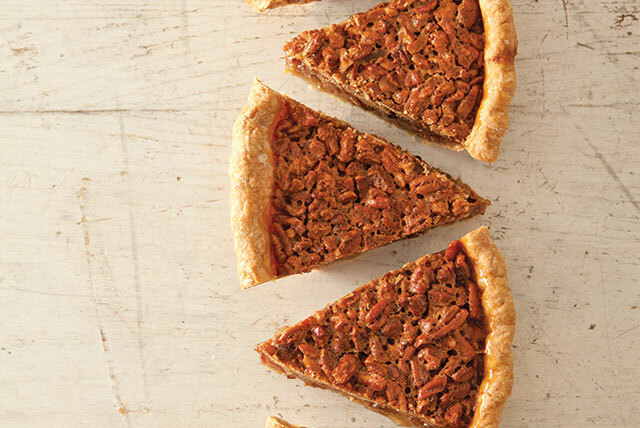 In the meantime, here is your new favorite pecan pie recipe. For crust: In a medium bowl, stir together flour, salt, and sugar. Using a pastry blender, cut butter into flour mixture until mixture resembles coarse crumbs. Add buttermilk, 1 tablespoon at a time, stirring until a dough forms. Shape into a disk; cover tightly with plastic wrap. Refrigerate until firm, at least 30 minutes. On a lightly floured surface, roll dough 1⁄8 inch thick. Transfer to a 9-inch pie plate, pressing into bottom and up sides. Fold edges under, and crimp as desired. For filling: In a medium bowl, stir together eggs, brown sugar, corn syrup, melted butter, vanilla, and salt. Gently stir in pecans. Pour mixture into prepared crust. Bake 30 minutes. Loosely cover with aluminum foil, and bake until center is set, approximately 20 minutes more. Let cool completely on a wire rack. My Mom is already asking me what kind of pies we are having for Thanksgiving. She will be 90 years old in January and lives with me now. Her favorite thru the years is Pecan and Mince Meat (the fruit one). So This recipe will be front and center this year and I’m sure it won’t disappoint. Thanks so much for this lovely journal I come to almost each day. Thanks Phyliss….cant wait to try it! There is nothing better than Pecan Pie and this recipe sounds wonderful. Thank you! This looks delicious…and just in time for Thanksgiving…in Canada we celebrate it the second weekend in October. Thank you for the recipe. Can’t wait to try this. The buttermilk crust sounds yummy. Have a great week, Phyllis. 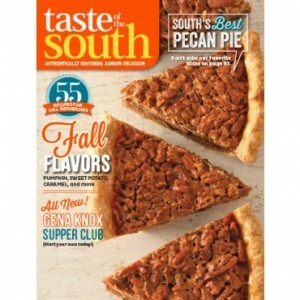 This issue of Taste of the South has the most wonderful recipes…..I am looking forward to cooking some for Thanksgiving. It is out on the newsstand now! I have the magazine. Need to try this recipe. Thank you for the tip. It does look delicious with a little whipped cream. Anything pecan is my favorite and I do have a “go to” recipe but I will be making this pie for the holidays. Thank you for all your inspirations! If We’re Going to Cook, Let’s Wear Something Pretty While Doing It!